I am very excited to announce that our April #publibchat will be all about privacy, just ahead of ALA's Choose Privacy Week in early May. Even more exciting is that Alison Macrina (@flexlibris) of the Library Freedom Project will be moderating our chat! Alison is a librarian, internet activist, founder and director of the Library Freedom Project, and a core contributor to The Tor Project. Library Freedom Project is a partnership among librarians, technologists, attorneys, and privacy advocates which aims to address the problems of surveillance by making real the promise of intellectual freedom in libraries. 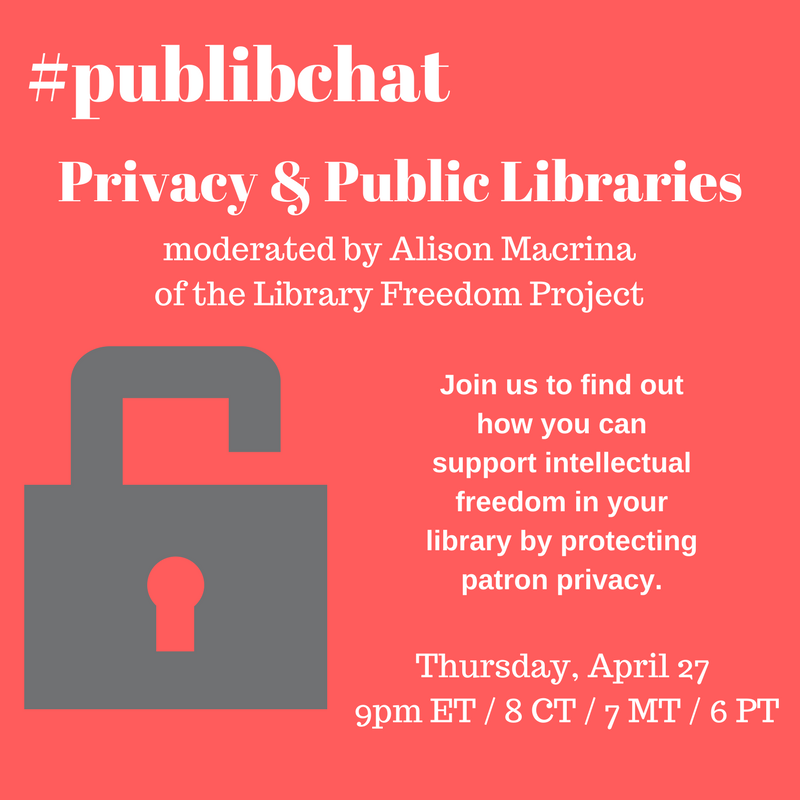 Please join in on Thursday, April 27th at at 9pm ET / 8 CT / 7 MT / 6 PT to discuss the public library's role in privacy and how we can protect our patrons. This is a chat not to miss! Please share widely and join us for the discussion.